#TIPSFORFINANCEMINISTER- only for entertainment or do they matter? - Activate! You are here: Home / #TIPSFORFINANCEMINISTER- only for entertainment or do they matter? For over a period of 14 years since the introduction of ‘Tips for Trevor” the then Minister of Finance, Mr Trevor Manuel introduced this initiative for the public to forward their comments and suggestions for the presentation of the budget speech, this initiative was first mooted in and around 2009 during a radio interactive drive held by a radio station, SAfm to request their listeners to make suggestions for the 2009 budget. This initiative has been adopted by every successive finance minister from Mr Pravin Gordhan, Mr Nhlanhla Nene, Mr Malusi Gigaga and currently by Minister Tito Mboweni. These tips which a great number of South Africans have undertaken to submit as part of their civic duty to contribute ideas to better manage the finances of the country have been widely reported as a successful campaign to get ordinary people to feel that they are part of the decision making process. As indicated previously, this campaign is now in its 14th year and it is possibly the best time to assess it’s impact and what it really means for ordinary citizens who believe that by submitting their inputs, they are genuinely having their voice heard in the affairs of the state. – the expanding of the child support grant which was set at the age of 7 years old to now 18 years old, that public benefit organisations needed greater tax relief and this was done. The recent State of the Nation Address (SONA) by President Cyril Ramaphosa once again gave us an opportunity to gauge the seriousness of government focus on youth development. The SONA mainly focused on 5 areas which were, Inclusive growth job creation, Skills development, Improve lives of the people especially poor people’s conditions, corruption and state capture. What we can deduce from the stated focus areas by government is that the direct focus on youth matters remains part of the cocktail to address everything all at once without being particularly specific, this concern should, therefore, arouse a serious interest from youth on the kind of budget they want their own government to present in the coming budget speech. 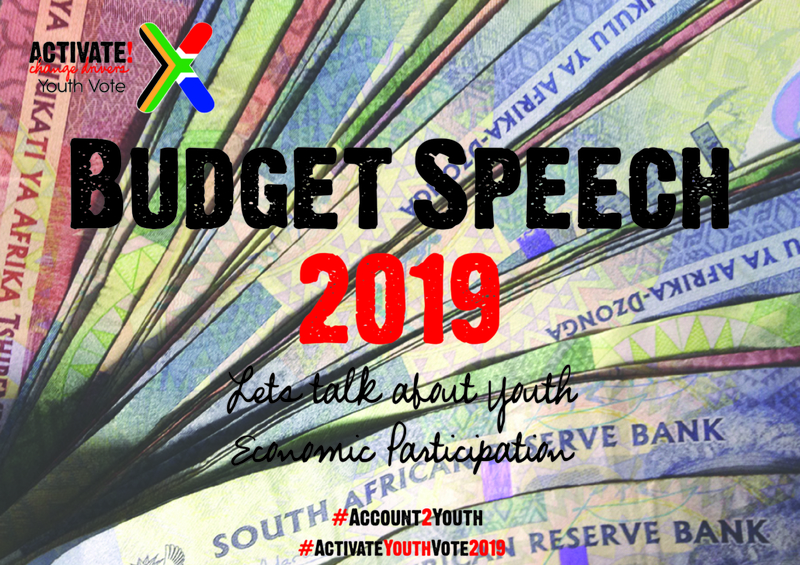 Young people should, therefore, be implored to take particular interest in this upcoming budget speech an attempt to sway this budget to serious matters which greatly affect the youth and this could be done by submitting the budget tips in their numbers to appeal to the government to dedicate much more resources to youth issues.